Losses are mounting in the hundreds of millions of dollars as Kilauea pushes molten lava through neighborhoods. From mounting property losses and government expenses to reduced tourism dollars, Hawaii’s latest natural disaster is sending financial shockwaves throughout the Big Island. The price tag – and the volume of human suffering – keeps climbing as the eruption approaches its third week. Kilauea volcano’s advancing flows have destroyed at least 26 homes, left many of Leilani Estates’ 770 dwellings inaccessible and threatened to sever all road access to Lower Puna. 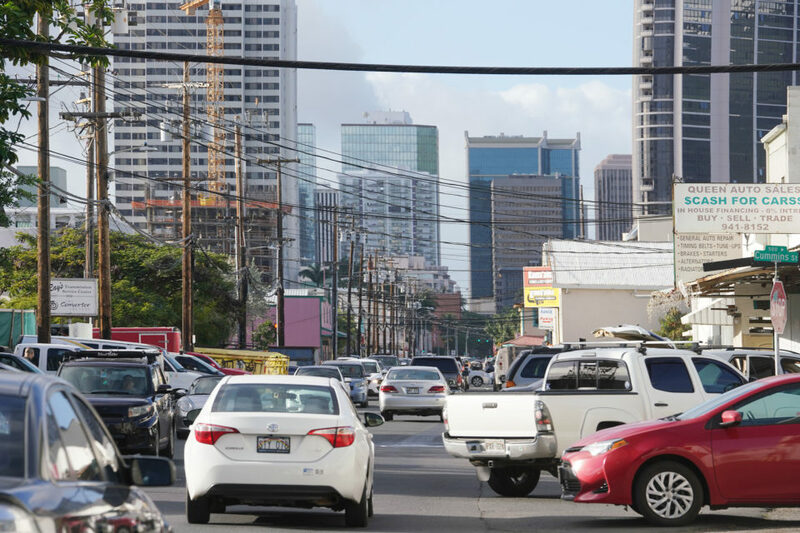 “The affected areas are severely impacted to zero values because it can’t be sold and it can’t be used,” said Heather Hedenschau, principal broker at Big Island Brokers. 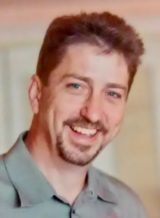 That means up to $170 million in lost property in Leilani Estates alone, based on a review of several online sites such as areavibes.com that offer varying median homes prices of around $220,000. Hawaii Volcanoes National Park generates $170 million in annual visitor spending – when it’s open. Leilani Estates and the much smaller Lanipuna Gardens, the first two subdivisions to be evacuated, generate a combined $1.2 million annually in property taxes for Hawaii County, said Lisa Miura, acting real property tax administrator. “Everything inundated would go to zero (tax liability),” Miura said. Any property with an assessed value of $500 or less is exempt from taxation, according to county law. The county also expects to collect less from owners of properties impacted by, but not within, the inundation zone, Miura said. Lowering those values, and accompanying billings, would require an emergency proclamation from Mayor Harry Kim, who is considering taking that action, she said. “What we’d like to do is provide tax relief to the immediate area,” Miura said. That will affect the main revenue source for the county, which relies on property tax collections to pay more than 60 percent of its operating costs, according to Kim’s latest budget request. 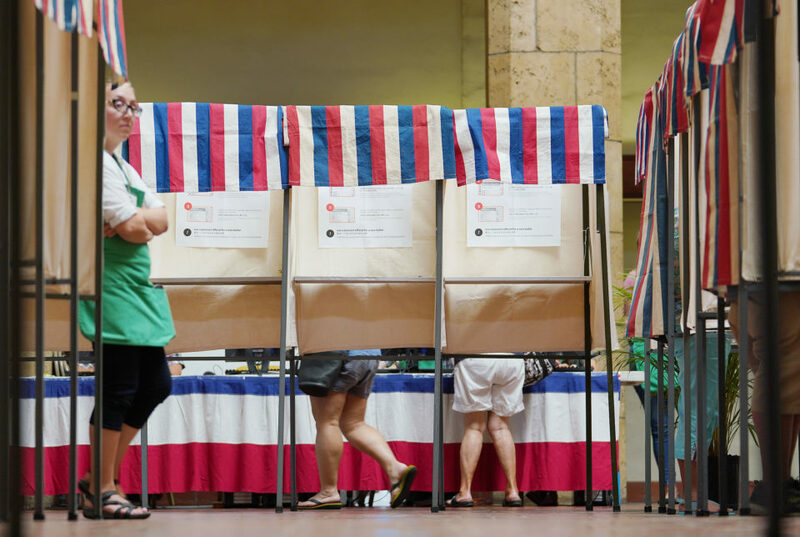 Impacts will be felt not only in the coming budget year that starts July 1, but also this current fiscal year as the county expects to provide partial refunds due to lowered values, Miura said. Lava has destroyed more than 30 structures, mainly houses, in the Lower Puna area. Staffing around-the-clock security and other operations related to the eruption cost state and county governments a combined $4.9 million during the first week, according to information Gov. David Ige included with the federal disaster request President Trump has since granted. The threshold for qualifying for federal assistance is $1.9 million. 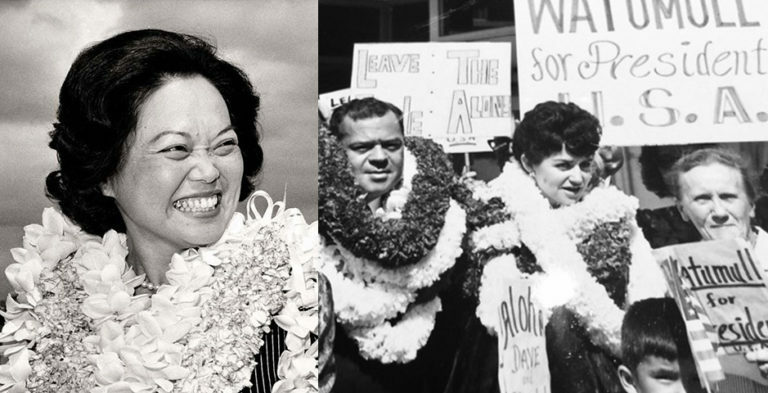 Itemized expenses include $300,000 that the Hawaii Department of Land and Natural Resources spent, $500,000 for 75 Hawaii National Guard troops and the county’s $1.6 million outlay for various roadwork. Authorities on Tuesday reported a new fissure opened in the adjoining Lanipuna Gardens subdivision, bringing the number of cracks in the ground spitting out lava and toxic gas to nearly 20 since the eruption began May 3. Another fissure that opened up last weekend was sending molten rock crawling toward the ocean at about 20 yards per hour. An ash plume from within Kilauea volcano’s summit crater rose as high as 12,000 feet above sea level, prompting geologists to issue a “red” warning for pilots and air traffic controllers as the ash could disrupt flights. The biggest impact of the continuing eruptions may be to Hawaii’s No. 1 industry — tourism. Already suffering visitor declines from Kauai’s record flooding, Hawaii is now enduring another natural disaster that one national news organization incorrectly reported as having triggered the evacuation of Oahu. 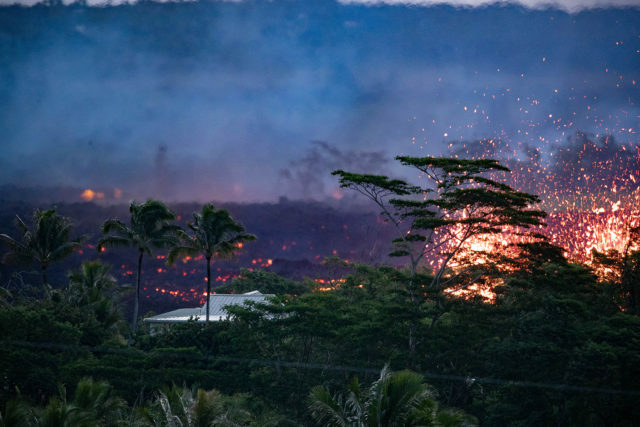 The eruption coverage is scaring away visitors needlessly, said Viviane Baker, who has owned and run Belle Vue Hawaii Bed and Breakfast for 30 years. Baker last week said customers had started seeking the relative safety offered by her Waimea and Captain Cook locations after cancelling reservations for competing B&Bs in Hilo, Puna and Kona. 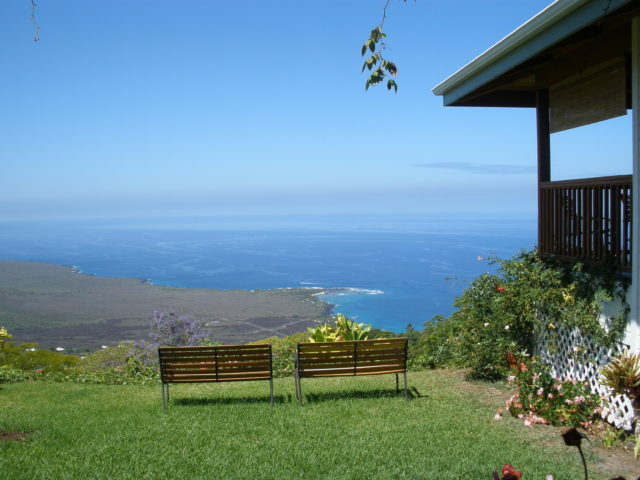 Located in Captain Cook, Belle Vue Hawaii Bed and Breakfast is one of the businesses attracting visitors displaced by the volcanic eruption. “They want to get away from the volcano. People are afraid,” Baker said before the Hawaii County Civil Defense Agency ordered the closure of all Lower Puna vacation rentals, affecting visitors staying along the Kapoho-to-Kalapana coastline. Ironically, lava that’s now deterring tourists had been attracting them. But the same volcano has triggered the closure of Hawaii Volcanoes National Park, the island’s top visitor attraction. And that’s turning visitors away from other businesses. 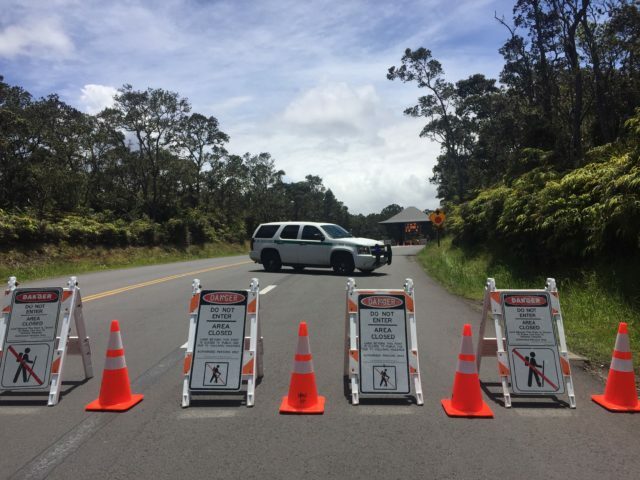 “They cancelled today because they heard the park was closed,” Baker said of one couple that rescinded a booking made Thursday, one day before the park was shuttered because conditions there pointed toward a possible eruption of the Kilauea summit. Hawaii Volcanoes National Park attracts more than 2 million visitors annually who spend a combined $170 million on Hawaii Island, according to an April 2018 report by the National Park Service. That’s a potential impact approaching $500,000 for each day the park cannot accept visitors. The effects are even more acute for Pahoa businesses located near the eruption site. Markoff fears what he calls a secondary disaster – people who will lose their jobs and the ensuing impact if the eruption continues. “Pahoa is open for business,” says local gallery owner Amedeo Markoff, shown with his daughter, Sarah. Fellow Mainstreet Pahoa board member Kerry “Kealoha” Kelley, co-owner of Pahoa Used Books & Movies, said visitors used to account for half of her customers. But now almost all are locals and many are seeking the comfort her products provide, she said. She’s mystified at the misunderstanding surrounding the eruption and the range of its impact. Speaking last week, Kelly noted she had just received a call from a Hilo customer who requested her business card be sent by mail. Kelly said she politely questioned the unusual request and was told by the customer that Pahoa has become too dangerous to visit, a perception she said is untrue. 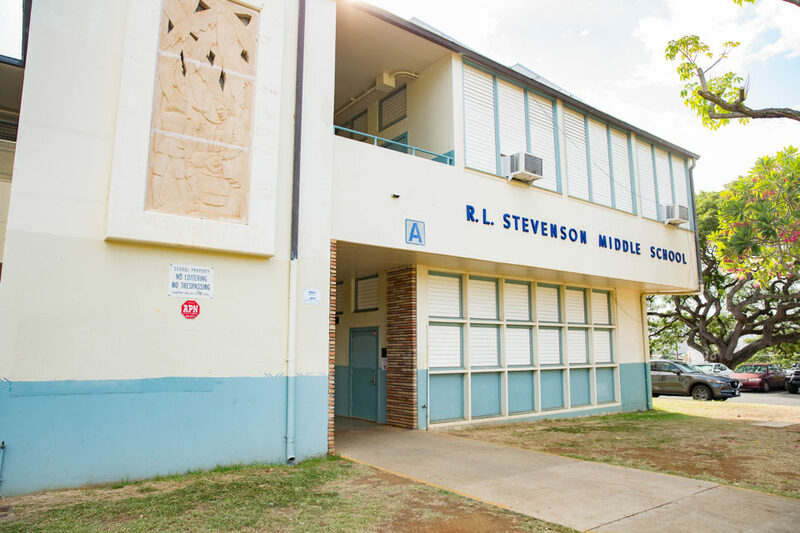 “It was a big shock to me that someone from Hilo would not be comfortable coming to Pahoa when they normally would,” she said. Contrary to some warnings, both Pahoa and Kilauea volcano remain open for business – no charge for admission.